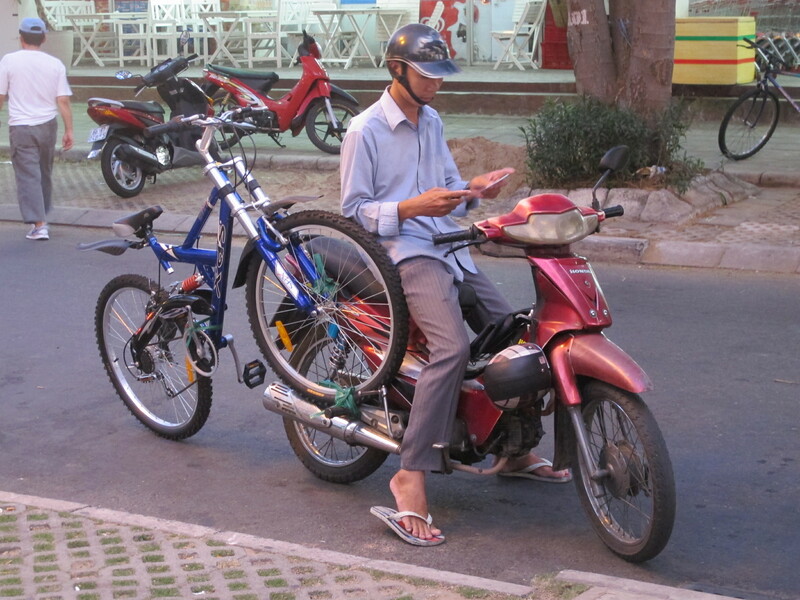 Seen in Saigon: Bike Delivery | Hello Saigon! Great photo. I love it! My favourite was seeing a guy deliver a front loding washing machine on the back of his bike… somehow he managed to keep the bike upright until two colleagues came out of the repair shop to help get it onto the ground! Alas, I didn’t have a camera or phone with me at the time. Then the next day I saw a guy with a Queen sized mattress on the back. Flat!